Produces up to 9:1 bandwidths from 200 MHz to 22 GHz and options that include ultra-broadband, optimized narrowband, and sub-assembly integration. Unit-to-unit phase and amplitude matching available along with bi-directional variable phase characteristics from one port to another. 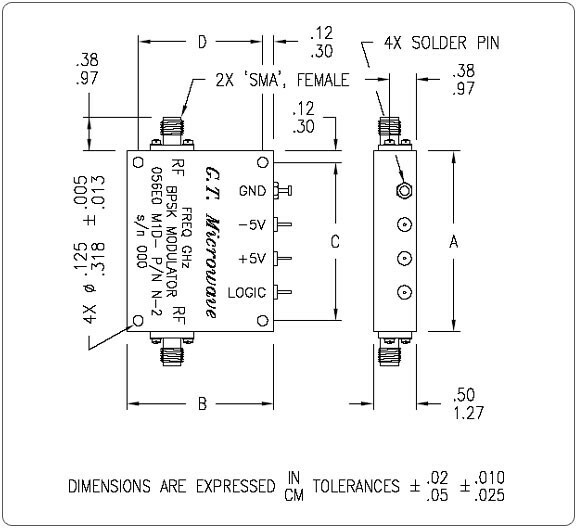 Control options including solder pins, SMA or SMC Connector, and Multi-Pin Connector. 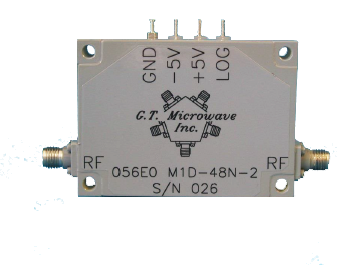 Narrowband models available from 22.0 GHz to 35.0 GHz with 10% bandwidth. TTL Compatible Logic: Logic ‘0’ = 0° Ref and Logic ‘1’ = 180° Phase Shift. High Speed Switching: BPSK Modulators listed are measured from 50% TTL to 10% / 90% RF from any set value to any set value. DC Power Consumption: BPSK Modulators require ±5 VDC @ ±50 mA.